Silicone-based coating. 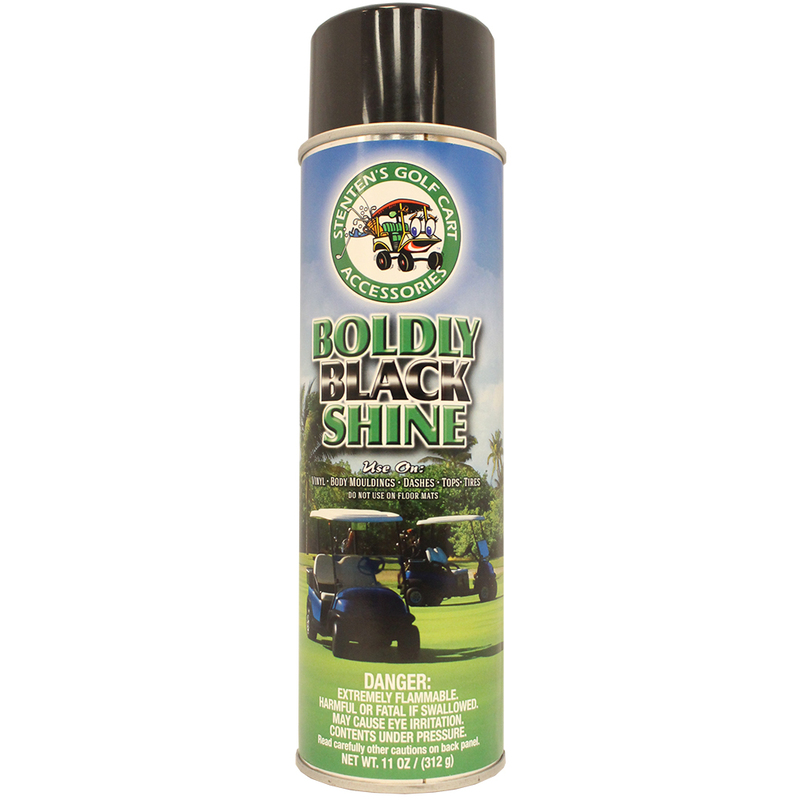 Boldly Black Shine is a great final detail product with a silicone based coating that is designed to treat vinyl and plastics surfaces in the interior and exterior of your Golf Cart. Specially formulated for vinyl, body moldings, tops, tires, dashes and other plastic surfaces. Also great on bumpers, bumper guards and trim pieces not made of rubber.